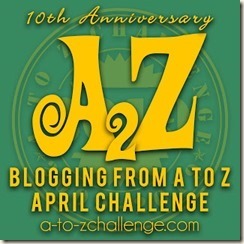 Lunch Hour Stories #AtoZChallenge - A Rose Is A Rose Is A Rose! Lunch hour is the best part of the day. For a child, school is a place where you go to eat your lunch. Thinking about lunch can make any mundane meeting at work endurable. One thing, I like about the lunch hour is that it tends to bring friends and colleagues together, both physically and emotionally, thereby creating some amazing memories and stories. My best friend used to get Gajar-Gobhi-Shalgam achaar (Carrot-Cauliflower-Turnip pickle). As soon as she would open her lunchbox, my eyes would sparkle with joy. As I write this, I am remembering this amazing taste of childhood. I have had many Gajar-Gobhi-Shalgam pickles, but none comes closest to the one made by my friend’s mom. It was a mandate that whenever mom would give aloo paranthas in my lunch box, she had to pack 2 more for my friends. And like wise, there were friends who would get extra poha, idlis, katori chaat, bread pakoras etc. Aah! The fun of sharing food and basking in the compliments for your mom. Once a classmate opened her lunchbox and the entire group cried collectively ‘ugh” and ran helter-skelter. Boiled egg was the culprit. She was called ‘boiled egg’ after that. Yeah, kids can be really mean. And I remember that she never got boiled eggs for lunch after that, ever! I have carried bhindi (lady’s fingers) and parathas for lunch at work, every single day for 2 months. Yeah, I have a tendency to become fixated on certain foods. My co-workers were fed-up of seeing my tiffin and pleaded-cajoled-threatened me to get something different, my sisters rolled their eyes like slot machines, but my mom and I turned a deaf ear to everyone. Love my mom for her unconditional love! Aaryan’s school had a lunch policy. Kids were supposed to carry 2 lunch boxes, with a fruit in the first box and paratha/chapati with a dry vegetable in the second one. One day, I gave bread-jam to Aaryan as I got up late and didn’t had the time to prepare his regular lunch. My 5 year old baby when he came back from school was really mad at me. He threw a big tantrum and kept asking why I didn’t give him paratha-subzi that day. It seems that he was asked to sit separately for he had not complied with the lunch policy and that offended my child big-time. Dry vegetable, dal, curd, salad, rice, chapati and a sweet dish. This would be the lunch of a colleague, every single day. No, it wasn’t coming from a restaurant but was cooked by his wife. We envied him, truly. I am a big Tupperware fan and very possessive about them. I would lovingly (read crazily) buy Tupperware lunch boxes for KG. And this man considered them mere plastic boxes and didnt care a hang. Such a blasphemy! No marks for guessing that he lost/forgot so many of my Tupperware lunch boxes that after a while better sense prevailed and I stopped giving him my prized possessions. Sometimes it isn’t easy to squeeze in a lunch break, so a working lunch it is, while you read that report or type the minutes of the meeting. Is lunch your favourite part of the day? Do share your lunch hour stories and memories. The post reminded me of my school lunch time when we used to try to eat in the first 5 minutes so that we will get a lot of time to play. And then came high school when I got friends who just liked to talk and laugh the whole of the lunch time, so we always closed our lunch boxes only when the bell rang, and sometimes unfinished. But, I always had the bottom box with curd rice, that was my end to every meal. This post evoked many childhood and college memories. I used to eat lunch during the class with my friend and we were never caught. This continued till graduation. Shaljam carrot gobhi achar is something I love in winters and badly wish to eat it right away. Only mom made. In school we were a bunch of foodies who saw each other’s tiffin’s and shared food and chatted. Food brought us closer. When I was working, I used to wait for Monday as My colleague used to bring a special dish. We would decide on one day and prepare special dishes and have feast in office. And on a pre-designated day we would go out to eat in lunch hour. Lunch hour was very precious . Your lunch post, Shilpa, brought back a host of memories. All meals are special, but somehow lunch is a little extra special. The mention of that Gobhi-Gajar-Shalgam Achar made me salivate, Shilpa. I am not an achar fan, but this one i never pass up. I am just imagining Aaryan’s tantrum and your reaction to it. I envy your collegue too! Lunch time at the school where I work is a time to sit together and catch up with the colleagues who have become friends. Although the canteen is noisy as well as dangerous – you never know when you will collide with a missile in the form of a tray full of sambhar being carried by a running child – we love our lunch break. Lunch is my favourite meal after breakfast. So many tiffin memories. Back in college, male friends from college would take away my dabba because mum’s food and I had to eat canteen food. So many came home because they loved what mom cooked. Yes lunch hour is very exciting. But can a school dictate what a child should bring for lunch? I can understand, fresh fruits and main course. But that should be parent’s decision not schools. What is wrong with sandwich? I find it strange that in this day and age people run away from boiled egg. Is there no non-vegetarian in the class? Geez. Segregating a child cos he didn’t bring sabzi is a bit too much by any standards, don’t you think? This has refreshed my lunchtime memories of school. On 3 out of 5 days my tiffin would be polished off even before I could open it and knew what my mom had packed. When in the boarding school, my friend used to get sattu paratha and bhindi sabzi. I loved this combination and she ensured that she got extra packed for me. Growing up , my lunch box used to the best in class and I had to take another one specially for my friends. But for the most part, I used to eat the hot lunch provided by the school which was not only healthy but also yum. As far as my own girls were concerned, I made it really healthy for them with a salad, veg and rice or veg and chapati made into roly polys as I used to call them . This was in the days before the ‘wrap’ was invented by mainstream cooks. Ohhh Poor Aaryan ….he had to be punished at age 5. This many schools do even today Shilpa. They should leave a note to parent and let it go. When my mom was unwell or traveled for functions, it was my dad who would pack lunch for me. He was an expert with bisi bele bath, only that it was his customised recipe. He would make it with leftover rice and sambar and add loads of ghee into it. For long i did;nt know it was leftover rice of sambar. That was during school though. lunch time, my colleague ate my lunch box and told me not to get angry, he replaced it with hotel food. This brings up a lot of childhood memories. There were a few times as a kid that I forgot my lunch. The other kids would end up giving me whatever extra things they had, which ended up being lots of cookies and pretzels and fun things like that. I love lunch hour stories! There is something so sacred and natural about discussing food and its joys! At work, I eat with my colleagues and thankfully they love food as much as I do. Sometimes, we even carry lunch for each other. We then sit and discuss recipes, other places to try out for good food and everything else under the sun about food. Trust me, people who love food are always the best! the lunch box policy at school. This one had me in splits becasue my sons’ school too has something similar to this when it comes to carrying healthy tiffins. Loved reading all the lunch time stories. 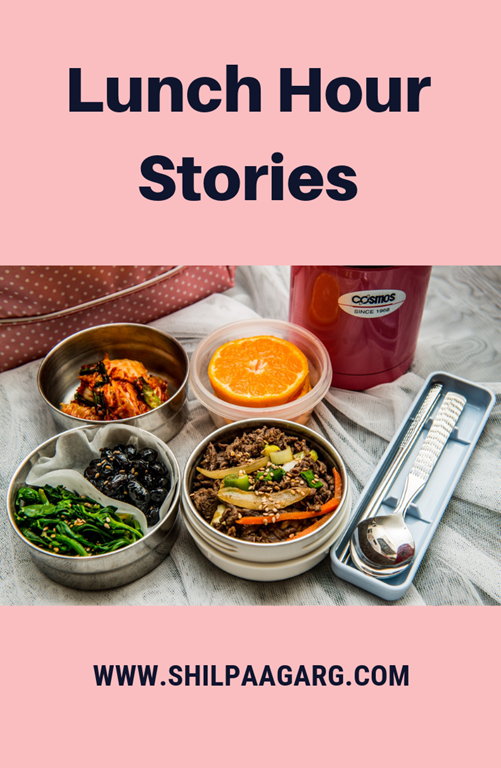 Lunch was and still is my favorite meal of the day, and I loved this topic, it is so simple but so interesting to read your lunchtime stories. This brings back memories! I used to get peanut butter and jelly sandwiches and cookies. Also, red Kool-aid. I used to drink it in a funny way that got me and classmates in trouble when we made a huge mess of it! Loved to read these stories. I love my lunch hour. Even though I work from home, I love to sit with my meal in my portion plate and focus on every bite. Truly enjoyable. With the radio on! And my school dubba stories are very similar to yours! Interesting read. Such a simple topic but expressed in such an interesting manner. It reminded me of my lunch time days in school as well when I was working. A colleague would get alloo ki sabzi, and whenever it was there, it meant that his tiffin belonged to me, as I would Lick everything till the end including the masala. When I worked at a school, I used to look forward to my lunch hour. We teachers would sit around the table with our tiffin boxes open for everyone to share or partake of whatever was in there. And, more often than not, a student would celebrate a birthday, or some parent would get sweets to the teachers to celebrate some occasions, which we would then bring out during the lunch hour. And, I being crazy about sweets, would get a large share of the desserts as most of the other teachers were worried about piling on the kilos. They would grumble that they would put on weight on the mere sight of the sweets, while I wouldn’t gain an ounce even if I emptied the entire mithai box! Oh yes, lunchtime is the best at school or office when you are not the cook. I loved my school dabbas and would love to share with friends and likewise. Made him sit separately, that’s not done. Moms can get late so why punish little kids. I am also a huge Tupperware fan. Sweet stories! I remember hiding our tiffins under the desk and eating them before the lunch hour! I do like lunch! Usually, I end up eating late, but I love the break from work, one I don’t feel guilty about. I like to eat alone and watch something while I have lunch nowadays. Sandwiches have always been a staple in American lunches. I used to love to have a sandwich made with butter, peanut butter, banana slices, and applesauce when I was a kid. Even today it sounds good but haven’t had one in years. You’ve got me thinking…! This post made me smile and I could relate to a lot of things you have mentioned. Lunch box was fun both in school and college and work places too. 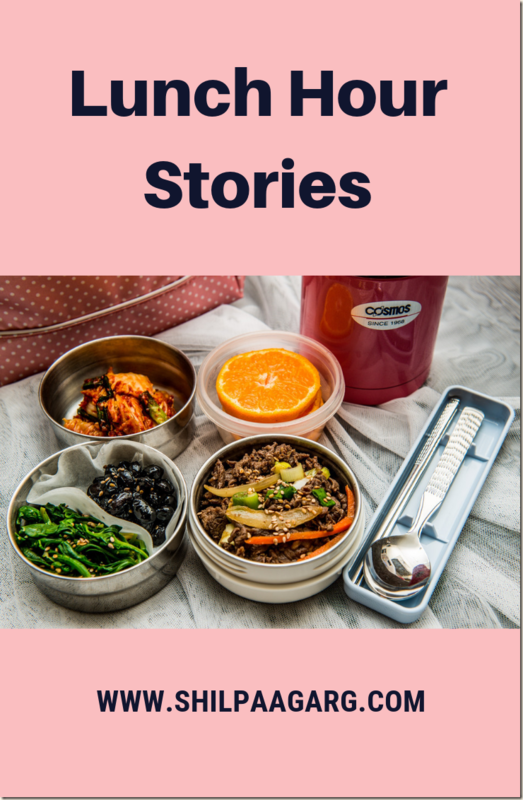 The tupperware boxes – I am very particular about it and David has lost so many packing non vegetarian for sharing in his offices, and with his friends, till date is the same story, Now my daughter is particular about what food i pack as her friends keep appreciating what i pack for her lunch.